Comedian Ruby Wax, well-known for her dry, no-nonsense, sarcastic brand of humour, has been appearing on British television for over 25 years. Born in Illinois, she majored in Psychology at the University of California, before moving to the UK to train as an actress at the Royal Scottish Academy of Music and Drama. With a successful career in comedy and television, she has more recently been prominent in raising awareness of mental health, campaigning through various platforms to try and break the stigma around the subject. Wax has been very open about her own struggle with depression, and uses her own story when speaking about mental health to stress the importance of raising awareness for mental health, and that mental illnesses should be treated no differently than physical ones. What’s great about Wax as a mental health advocate is that we can visibly see the driving passion, the anger she feels when someone tells her to simply “perk up”. She expressed these feelings in her 2012 TED talk, What’s So Funny About Mental Illness?, in which she explained what causes mental illness in the modern day, and that, actually, it is a physical thing, caused by chemical reactions in the brain. A year later, Wax obtained her Master’s Degree in Mindfulness-based Cognitive Therapy from Oxford, and used this knowledge to write her book and live show, Sane New World, in which she explored how our busy lives and relentless thoughts can cause stress and anxiety, and how understanding our brains can help. Wax is also a patron for the British Neuroscience Association, and more recently was awarded an OBE for her services to mental health in 2015. Her most recent book, A Mindfulness Guide For The Frazzled, accompanied by her touring show Frazzled this year, follows on from Sane New World, and aims to engage readers and audiences in mindfulness its usefulness in everyday life in trying to keep sane. She has also founded Frazzled Cafe, which officially launched this month. With the tag line ‘It’s ok, to not be ok’, Frazzled Cafe gives people in cafés across the UK a space to talk openly about the way they’re feeling. 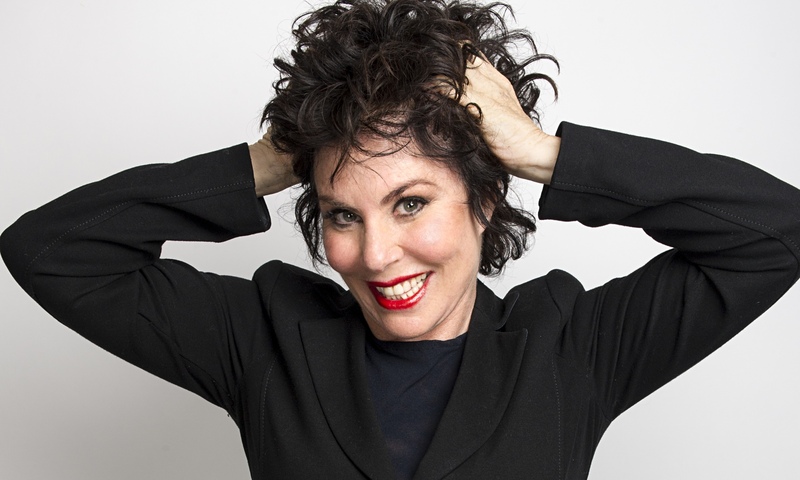 What makes Ruby Wax stand out from the crowd is that rather than performing typical stand-up making little impact on an audience, or giving solemn talks on the issues of mental health which may also make little impact, she combines the two to really make a difference. Her tours, her books, her TV appearances all carry the trademark humour we love, yet she simultaneously sends a serious message about the importance of mental health awareness. She has actively sought to extend her knowledge on mental health and how the brain works, and devotes her time to spreading this information to help anyone and everyone. She truly deserves more recognition for her bravery in being so open about her own experiences, and for her outstanding achievement in raising the profile of mental health.